Using a multidisciplinary approach, Debiopharm has developed numerous therapeutic solutions aimed at relieving the suffering of people with cancer. Oxaliplatin and Triptorelin, both products developed and commercialized worldwide by Debiopharm and their pharmaceutical partners, allow the treatment of colorectal and prostate cancer respectively. 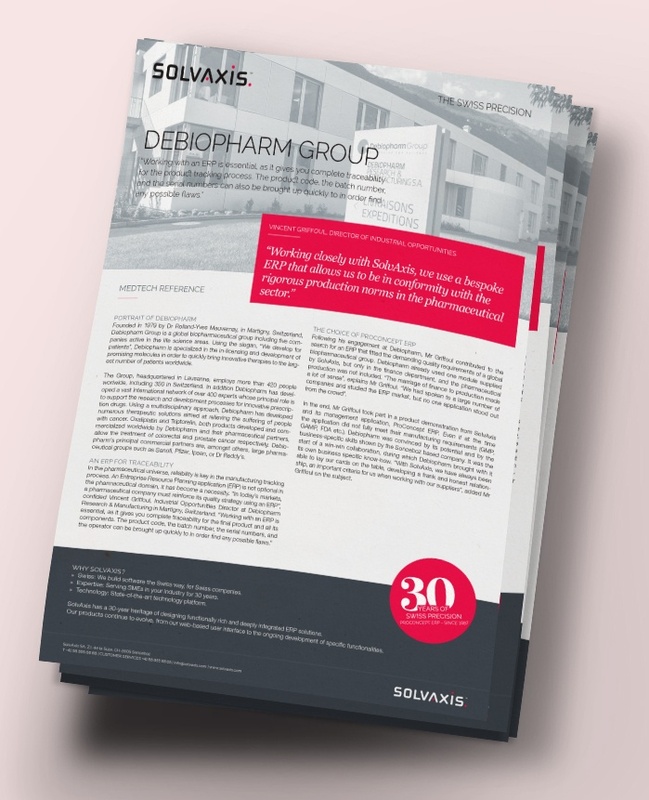 Discover the success story of Debiopharm and its achievements with the business management software ProConcept !